When Conor Grennan met with this couple (far right), they had not heard news of their son for three years. “Half the village was gathered around to hear the story of how we have brought this child back to life, so to speak, since he had been trafficked so long ago,” he says. Hope and apprehension radiated from the eyes of the Nepalese parents as they cautiously approached the lone American. Some of the weary travelers had walked for more than a day over treacherous mountain terrain to meet the foreigner with the wind-burned face. They came because they had been told he had news about their children. For three weeks last winter, Conor Grennan (Col ’96) hiked from village to village through one of the most dangerous and isolated regions of Nepal. His mission was to start righting one of the great wrongs of the past decade. Grennan’s passion surprised his former classmates, who knew him as a fun-loving, normal guy—definitely not the crusading type. Perhaps no one was more surprised than Grennan himself. The same year that Grennan received his degree in government from UVA, Maoist guerrillas began an uprising in Nepal. To bolster their militia, the rebels kidnapped children living in remote villages. Horrified parents scraped together what little money they had to finance an escape plan for their offspring. They gave the money to opportunists who assured them that they would take their children to Nepal’s capital, Katmandu, enroll them in school and provide for their needs. But once in the capital, the traffickers usually abandoned the children to their fate. According to a 2005 report by the watchdog organization Child Workers in Nepal, more than 40,000 Nepalese children have been displaced since the Maoist uprising began. 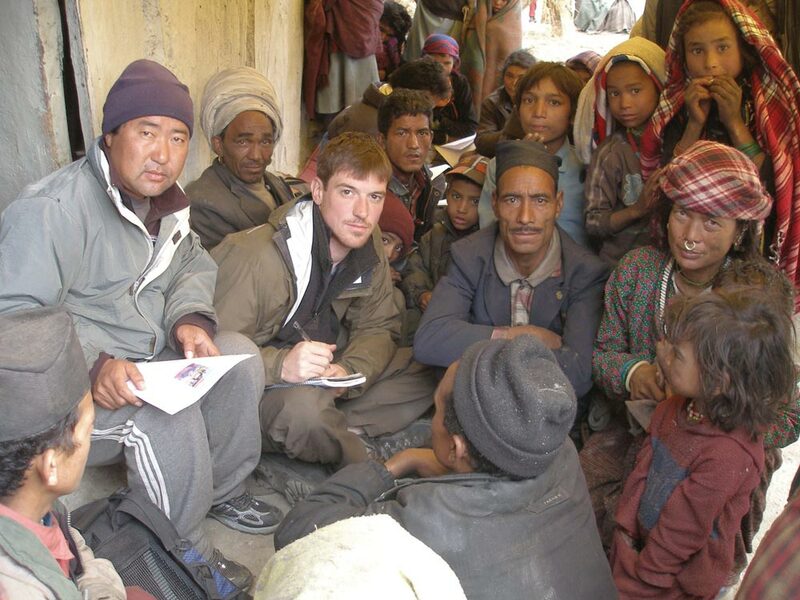 Grennan heard the story in 2004 when he visited Nepal. He had long been fascinated by the mountainous country, and after eight stress-filled years working for the EastWest Institute in Prague, where he focused his efforts on post-conflict work in the Balkans, he needed a break. The New York native decided to take a year off and travel the world. Seeking to experience Nepal and its people in a meaningful way, he volunteered to work at the Little Princes Orphanage in the village of Godawari, about an hour south of Katmandu. For three months, Grennan served as a surrogate parent. He looked after the orphans’ welfare, helped them with schoolwork, played with them and provided the love and comfort they craved. Those in the orphanage were the fortunate ones; on the streets, Grennan soon realized, were many more children living hand to mouth. He did what he could for them, but the sheer number of abandoned and homeless children made it impossible to help them all. When it came time to leave, Grennan realized how deeply he cared for the children. He continued his round-the-world trip to other exotic locales, but at the end of 2005, when his travels were over, he used the last of his money to return to the Little Princes Orphanage one more time. He met with government and UNICEF officials to find ways to lessen the suffering of homeless orphans. This effort ended in April 2006, when he was forced to leave the country as thousands of protestors took to the streets in violent revolt against Nepal’s King Gyanendra. “I had been planning to move back to America, and was really looking forward to it,” says Grennan. “But during the flight out of Nepal, there came a moment when I realized I was flying away from these kids who live on the streets. Grennan confesses that, before encountering the desperate children of Nepal, he never considered working with kids or living in a Third World country. Since then, he has become convinced that he’s doing the right thing. Back in the States, Grennan threw all his energy into devising a personal solution: Next Generation Nepal. By late summer, he had established a board of directors for the nonprofit organization and had raised enough money to return to Nepal. In the fall of 2006, Grennan opened an orphanage modeled after Little Princes. He also took on the challenge of reuniting displaced children with their families. Grennan’s newfound zeal amazed his friends. “I had worked at the national policy level in Eastern Europe and the Balkan countries for many years, without ever knowing if we were making an impact,” Grennan says. “It’s different to be able to work directly with the children you’re helping. 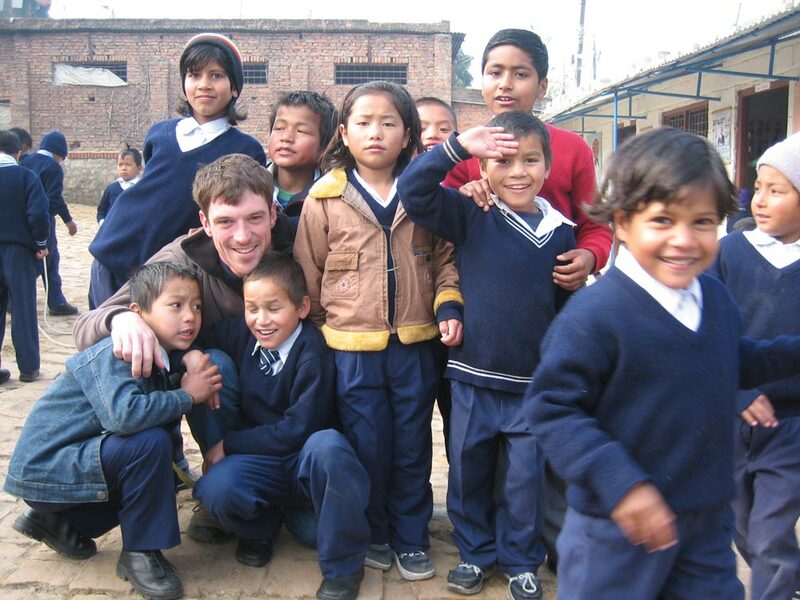 When Grennan returned to Nepal last fall, he concentrated on opening the new children’s home. Nepalese law requires that any overseas-based charitable project partner with a Nepalese organization. The Umbrella Foundation of Nepal, which runs seven orphanages in the country, enthusiastically embraced Grennan’s proposal and agreed to let Next Generation Nepal operate within its legal framework and guidance. After getting assurances from rebel leaders that no harm would come to him or his four-man team, Grennan traveled into the region in early December with case files and photographs of 24 children. With the help of Farid Ait-Mansour, a friend with whom he had worked at Little Princes, Grennan rented a house in Katmandu. Then they filled it with enough beds and supplies to handle 28 children. With the foundation’s support, Grennan also began rescuing children from unscrupulous traffickers and illegal orphanages. As this work was going on, a window of opportunity opened that allowed him to start searching for their families. 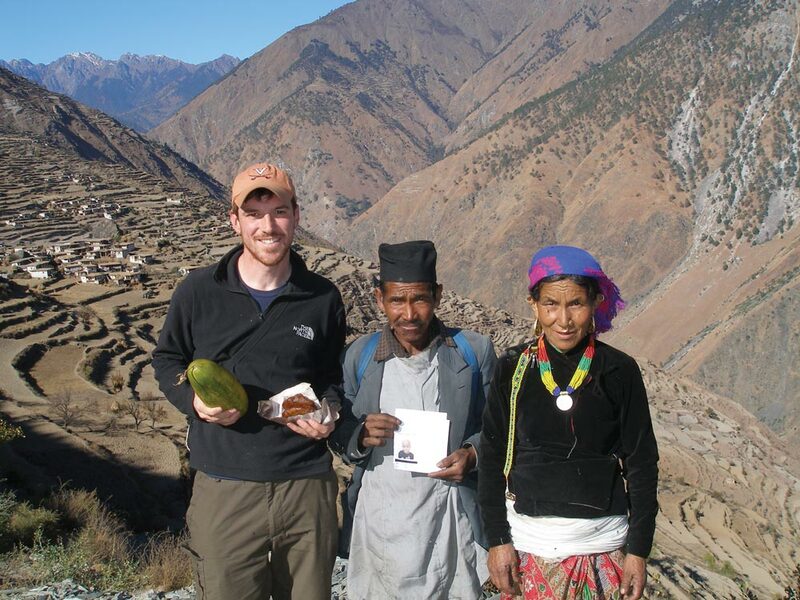 Food was so scarce in this remote region that Grennan and his team had to carry their own rice. The April uprising had brought about a cease-fire between the Nepalese government and the Maoists. In November, a peace agreement was established between the warring factions. Not knowing how long the calm would last, Grennan hastily made plans to travel to Humla, a remote region in northwest Nepal that had been fertile ground for the child traffickers during the civil war. After getting assurances from rebel leaders that no harm would come to him or his four-man team, Grennan traveled into the region in early December with case files and photographs of 24 children. 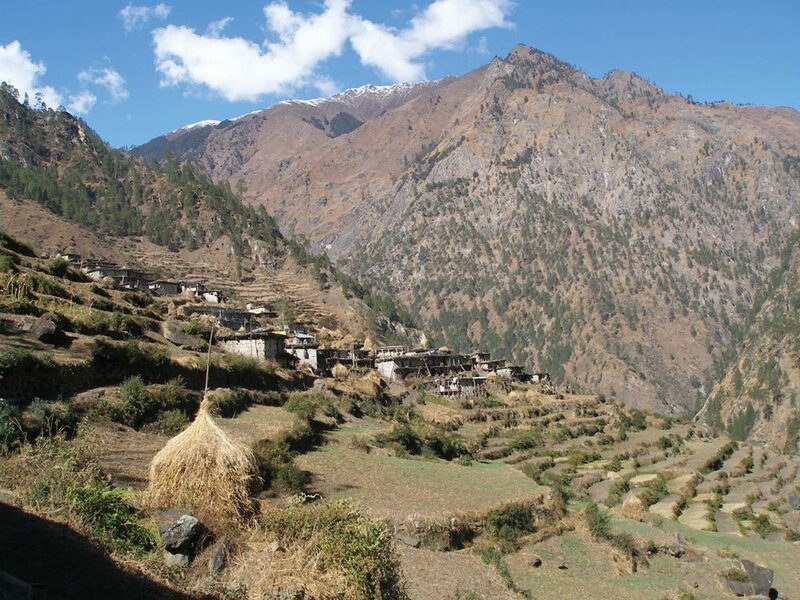 When the search team landed in a small airplane on a dirt airstrip in Humla, it quickly became apparent that finding any parents would be a long shot. There were no roads, wheeled vehicles, electricity or even bridges; the Maoists had destroyed them all. Grennan and his team hiked everywhere they went. Fortunately, when village elders learned what they were doing, they helped locate parents and relatives. With their assistance, the team found family members of all 24 children. In a case bordering on the miraculous, Grennan located the family of a child who for years believed he was alone in the world. Three weeks of hiking through extremely rough terrain took a toll on Grennan. Damaged tendons in one of his knees caused painful swelling. By the time his mission was accomplished, his luck had turned as bad as his knee. For five days, Grennan waited on a wind-swept mountainside for a helicopter that would fly him back to civilization. He was desperate to get back to Katmandu by Christmas Eve. Because the mission was so risky, he had instructed his colleagues to notify his family if he failed to return by that date. When the helicopter didn’t arrive as promised, he had no recourse but to limp to the village of Simikot, which had the region’s only airfield. Over the strong objections of team members and villagers, Grennan set out with just two porters. After a couple of days of nearly round-the-clock hiking, they happened upon a deserted shelter in the middle of the night. “I’d walked 14 hours that day, and we had just realized we were out of food,” he recalls. “It was extremely cold, and I was alone in the dark in Maoist territory with two men I didn’t trust. “At that moment, flashlights appeared coming down the trail. To see anybody on the trail at night was highly unusual, because it was just too risky. They were Westerners working for a Dutch aid organization. And they were coming to this small shelter to sleep and cook. They were happy to meet a fellow Westerner in this astonishingly remote place, and invited us to eat and sleep inside with them. Rested and with full stomachs, Grennan and the porters set out early the next morning. 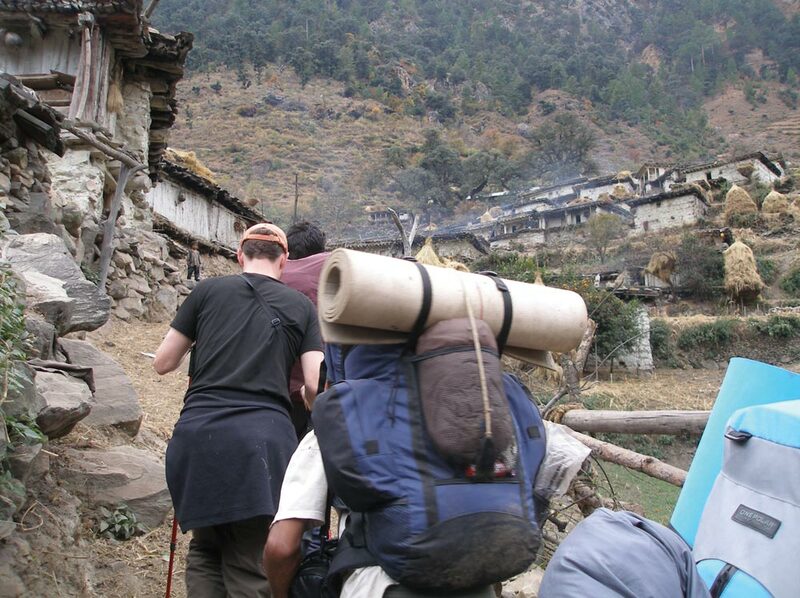 After another day of hard hiking, he was on a flight back to Katmandu—and home for Christmas. 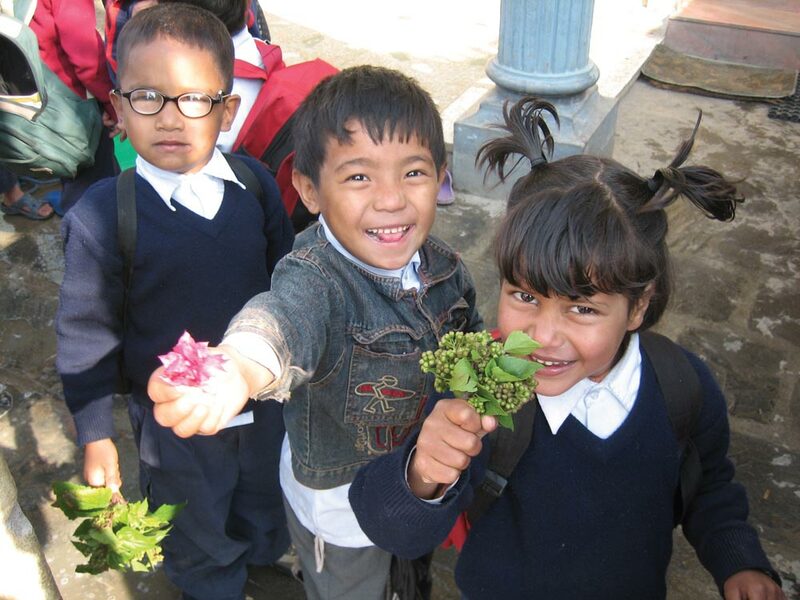 While Grennan was in Humla, Next Generation Nepal’s first orphanage opened and filled with children. It’s called Dhaulagiri, after the seventh-tallest mountain in Nepal. Beth Shaw Caylor (Col ’97) and her husband, Kelly Caylor (Col ’96, Grad ’03), were there to welcome Grennan home. The three had become friends at UVA, and Grennan had invited them to visit. “Conor had been remarkably successful in finding the families of children, and he was glowing with pride,” Beth Caylor recalls. “He was also practically starving to death and had lost a lot of weight. But he was just so thrilled to see all the kids in the new orphanage. The children love him so much, and he has a way with them that’s remarkable. There are 28 children now living at Dhaulagiri. They have adequate clothing, plenty to eat and are going to school. 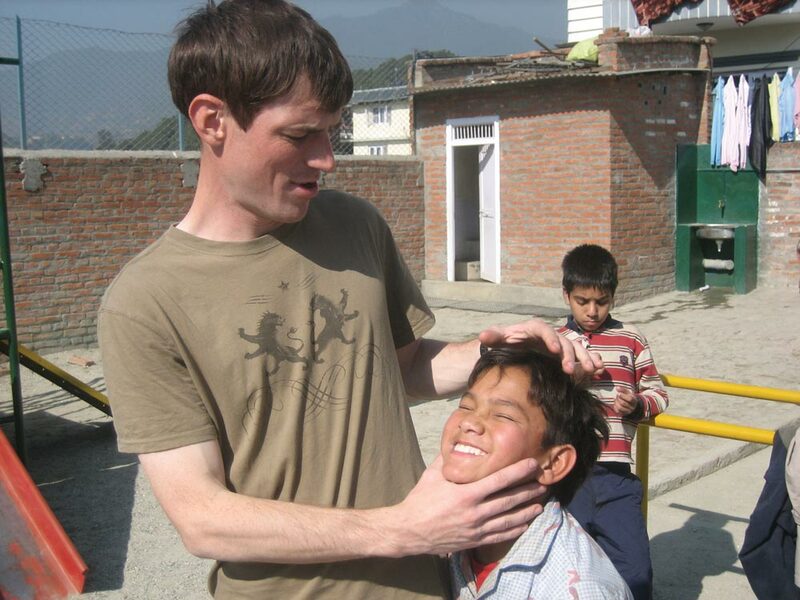 With peace still holding in Nepal, and largely because of Grennan’s efforts, word is beginning to reach parents about the American who may be able to help them find their children. Mark Shulman, an assistant dean with Pace University Law School, is on the board of directors of Next Generation Nepal. He worked with Grennan at the EastWest Institute, and when he learned of his initiative in Nepal, he signed on to help. Shulman notes that because of the exchange rate, a little money goes a long way in Nepal. A contribution of $150 can provide medicine and hospital checkups for 10 kids for one month. A $1,000 donation covers the full cost of caring for one child for a year. Grennan doesn’t collect a salary, and makes do with the bare minimum of creature comforts. At the age of 32, his concern is not for his own future but the children’s future. “There is simply no question in my mind, even for a moment, that I am exactly where I want to be,” Grennan says. “You can do so much in a country like Nepal to help these beautiful little kids who are invisible to the rest of the world. In return, you get to share their lives and their joys, as well as help them grow. Grennan found the parents of one of his charges in the village of Shri Nagar. He gave each parent a photo of their child; in thanks, they brought him small gifts of food—in this case a fried-dough treat and a very large cucumber.